Of all the novels that have been announced since the rebooting of the Star Wars Expanded Universe, Lords of the Sith seemed to me to be the most interesting. True, there was Tarkin, but this was ostensibly a Darth Vader/Emperor Palpatine buddy cop novel: what more could any loyal Imperial ask for? Furthermore, it was set to blaze several notable new trails. It was Paul S. Kemp’s first foray into the Galactic Civil War (he was previously best known for The Old Republic tie-in Deceived and the Jaden Korr Crosscurrent/Riptide duology), and his first time handling any of the major characters from the saga. New blood is always a welcome sight. Chronologically, it was also one of the earliest entries in the new timeline thus far, being set a few years after James Luceno’s biography of the titular Grand Moff, Tarkin. While it wasn’t the first villain-centric novel to be announced, it was to be the first featuring Darth Vader as a primary character. More significantly than any of these other things, however, it was announced that it would introduce readers to the Star Wars universe’s first LGBTQ character in the form of Moff Mors, advertised as “an incredibly capable leader” who “also happens to be a lesbian.” All things considered, Lords of the Sith was, at the very least, set to be an interesting read. Not seen anywhere on this cover: the characters whose perspectives take up the majority of the novel. At least Millennium Falcon‘s Photoshop masterpiece was honest. 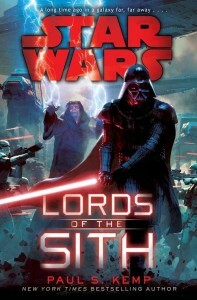 One of the first things readers will likely notice after cracking open Lords of the Sith is that both the title and cover are more than a little misleading regarding its contents. Whatever event the cover is meant to portray never takes place, and (more problematically) the titular duo take up a surprisingly small amount of the story. The bulk of the page count is dedicated to the attempt to assassinate them, as seen through the eyes of Twi’lek freedom fighter Cham Syndulla (who some may recognize from The Clone Wars) and three entirely original characters: the neglectful and decadent Imperial governor Moff Delian Mors, the treacherous Imperial flunky Colonel Belkor Dray, and Syndulla’s right-hand woman, the vengeful ex-slave/serial killer Isval. 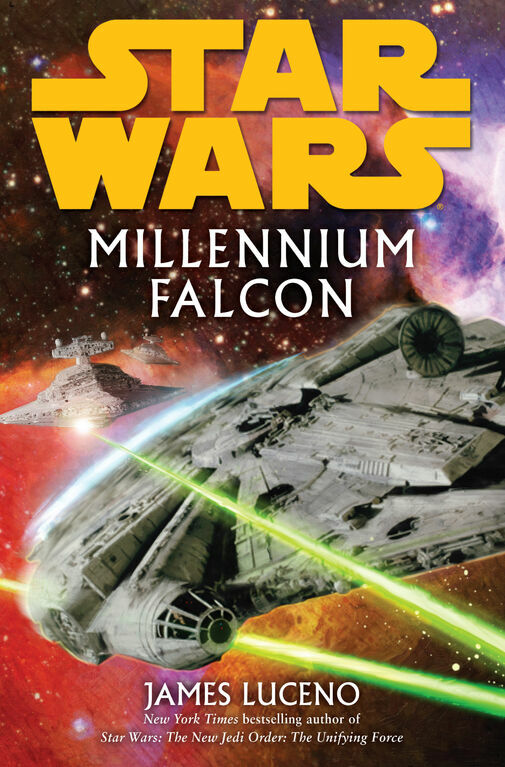 While I understand the desire to market the novel as appealingly as possible to the general public to maximize sales, the false advertising is more than a little puzzling when one considers the successes of Darth Plagueis, Tarkin, and a lengthy list of recent comics starring Darth Vader. Strange as it may seem, it can honestly be said that Lords of the Sith doesn’t spend nearly enough time on lords of the Sith. But let’s put that aside for the moment and talk a little bit about the assassination attempt itself. In all fairness, there’s not really a lot of room for an author to maneuver here. The plan is doomed to fail from the beginning. Both of its targets have to survive (mostly) unscathed so they can go on to appear in the vastly more significant events of the original trilogy. The Empire’s foundation must remain strong, and Ryloth wedged firmly beneath its polished bootheel. But that’s not to say that a foregone conclusion cannot still be interesting: it’s the journey, not the destination, etc. This soon after Revenge of the Sith, the Emperor and his new apprentice would be in the early stages of their relationship, having not yet settled into the state with which we are most familiar. The Emperor would have only just begun his favorite hobby of testing Vader’s loyalties and limits, and Vader must still be adjusting to his role as an infamous masked enforcer under the new Imperial regime. A story in which the two of them are thrust into unfamiliar circumstances, forced to rely on one another, bereft of the immense resources and vast legions that they normally command, is potentially quite an interesting one. Unfortunately, this is not that story. It’s no stretch to say that everything Lords of the Sith attempted, Darth Vader and the Ghost Prison already accomplished far better. In some ways, Lords of the Sith resembles the video game The Force Unleashed. Both feature (at least initially, in the latter’s case) Imperial-aligned protagonists capable of mind-boggling physical feats and displays of power with the Force. Vader’s demonstrations of might in this novel are very much reminiscent of Starkiller’s abilities: “blasts of power” are often being “loosed” all over the place, the results always spectacular. The key difference between them, however, is that The Force Unleashed at least attempted to provide opposition worthy of the protagonist’s strength. If it did any less, it would have amounted to little more than a terribly dull exercise in shredding wet tissue paper. Despite the technically impressive performances put on by Vader and the Emperor in Lords of the Sith, it all feels rather beneath them. They’re never truly or meaningfully imperiled, and that the freedom fighters are able to even come within a parsec of the Emperor’s person is only due to his whim. The rebels are all dispatched with tremendous ease and inevitably wail in incomprehension at the incredible supernatural powers they face before their demises. 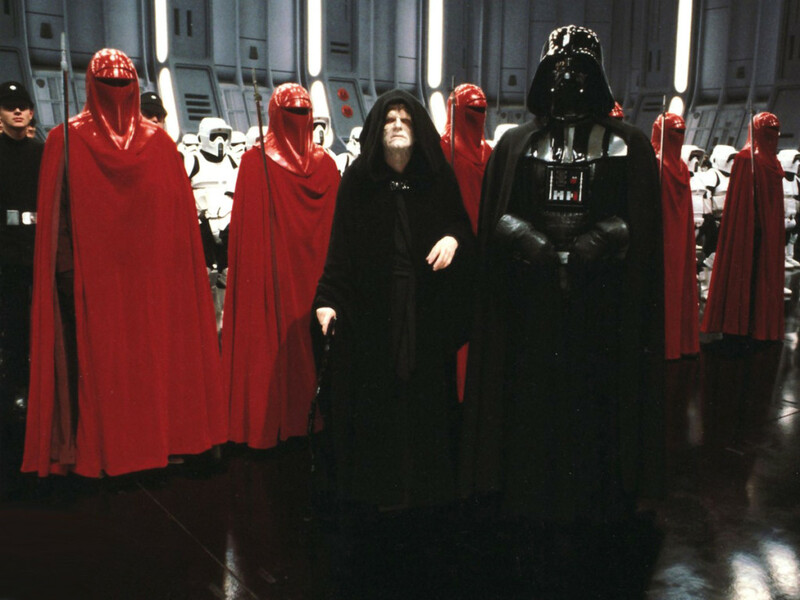 If a story is going to feature Darth Vader and Emperor Palpatine joining forces, then the threat should at the very least seem significant enough to warrant their combined attentions. Cham Syndulla and his band of merry men, regrettably, are simply not up to the task. Given the special mention made of her prior to the novel’s release, we should also devote some time to the character of Moff Delian Mors. Though she was characterized as “incredibly capable,” it unfortunately turns out that that was something of an overstatement. When she was described as someone who “happens to be a lesbian,” that was something of an understatement. While not completely incompetent (at least compared to the usual portrayal of Imperial officers), she has undeniably become severely negligent regarding her duties by the time that we meet her. A lethargic and hedonistic spice addict with a harem of green-skinned Twi’lek slave girls, the text explicitly compares her physical form to that of a Hutt. Are female Twi’leks ever going to be able to escape from Oola’s shadow? Not according to this book, which arguably does more to further the stereotype than the rest of the Expanded Universe put together. Some attempt is made to humanize her and provide an explanation for her behavior, but it’s laughably insufficient if it’s meant to come even close to making her a sympathetic character. Her treatment in the story is unusually lenient, given the Empire’s longstanding tradition of executing its officers for blunders far milder than hers. As the first LGBTQ character in the new Expanded Universe, I’d have to call her a resounding failure. Her character could only have benefited from having her list of vices shortened dramatically, and would have been far more interesting had she not been the embodiment of such embarrassingly outdated negative stereotypes and essentially a gender-flipped human incarnation of Jabba. Lords of the Sith is, ultimately, a “safe” book. The core concept does not change the status quo, its placement in the timeline mandates that. It contains no momentous events that might influence or simply be of interest to future works. It does very little, if anything, that has not been done before in one form or another, and it feels no particular need to put a new spin on those ideas. 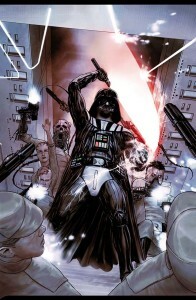 It will not challenge a reader’s preconceived notions about the Star Wars universe or the characters that inhabit it. It conveys no new information of significance to devotees of the history of this fictional universe. You will find nothing here to point at and tell someone “this is why you should read it.” Given the opportunity to help shape and define the future of the Star Wars universe on paper, the novel contents itself with simply existing. Perhaps that’s the greatest disappointment of all: that a story with so many interesting and promising elements should be so forgettable. I can only hope that future novels will learn from it and refrain from following in its footsteps, and instead choose to give readers something worth remembering. Welp, sounds like I can safely skip this one. Been a little disappointed with the reception the new Star Wars novels are getting. All I’ve read so far is Tarkin, which I like well enough, but wasn’t amazing or anything. Still planning on reading HttJ when I get a chance, and really looking forward to Aftermath. Hopefully that’ll be the first truly great book since the reboot. I’d agree with the false advertising charge. I’d disagree that Mors is meant to be a sympathetic character, I never got that sense from her. I think “sympathetic” is in the eye of the beholder, but what she definitely is is no worse than a dozen male Moff characters we’ve had in the past. Maybe that’s not the most progressive way to do it, but it’s something. She’s flawed — and she has fallen on rough times and shirked her duties. I didn’t like the initial characterization (okay, if you are going to make a big deal of introducing an LBGTQ character, do you really want her to be a villain, and not only that, but bad at her job?) – but I did like her interactions with Major Steen. Her return to herself. If Mors is going to be a continuing character who is used again, this could be a worthwhile introduction… but yeah, if you are going to tout this character, it was… not exactly a heroic or laudable introduction. I did like just how matter of factly her wife was referenced. The point wasn’t belabored… it was just presented as a matter of fact, something that is given… and actually that is a very powerful way of presenting an idea. It bears mentioning that they didn’t exactly “make a big deal” out of Mors; one fansite had an advance copy and wanted to point it out, and all they did was say yes. None of it was at their initiative. Beyond that, I think Kemp would say, rightly, that positive representation isn’t about all characters being virtuous and heroic. Lando isn’t less valuable as a black character because he initially betrays Han, it just makes him more complex. Reasonable minds can differ on Mors’ execution, but there definitely shouldn’t be pressure to make all gay characters paragons of virtue any more than the opposite. I saved this review in my RSS reader as I’ve been following this site almost since its launch, and value the opinion of the contributors. There have been a number of articles I disagree with (which I believe is a good thing!) but this is the first in a while where I feel I must write a response. I agree that the cover belies a greater focus on the two Dark Lords of the Sith. In fact, I could go back and check, but I don’t think an AT-AT was even in the book. That being said, perhaps I’m in the minority, but after I look at the cover I then read the description, where the second storyline of Cham Syndulla is prominently mentioned. Can this be false advertising if one chooses not to read the description? I don’t think so. In addition, from my reading of the story the concept of Darth Vader and the Emperor teaming up was not to face a significant threat, but yet another manipulation of Vader by the Emperor to craft him into his ultimate tool. I found the Emperor’s strength and seeming omniscience and omnipotence to be very much indicative of a man who singlehandedly took over a galaxy. As an aside, the subtle hints to the issue of what would happen to the galaxy if the Emperor and Vader were overthrown were very interesting. I like to think that they were planted with some thought. My second major critique of your review is your take on the characters. 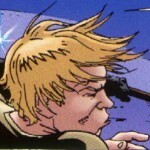 Yes, Mors is one of the first lesbian characters in Star Wars, and yes she was described as a Hutt. But that description was by the character who most despised her! Naturally there would be some exagerration, and I found that the author did a great job of enabling readers to better understand the trajectory of Mors, and her future potential. I would think that almost being responsible for the death of the two most VIP individuals in the galaxy would snap anyone out of a slump. I think the author did a great job in lining her up to be a critical character in the stories to come. Furthermore, Isval is not a stereotype. She is exactly like Oola, in that she had the courage and bravery to fight back against a seemingly unstoppable foe. Lastly, in terms of it’s significance to the greater Star Wars universe, I think you’ve missed it by a mile. While this book may focus on one engagement, its greatest strength is its focus on the characters. For the new canon, I don’t think there is one piece of content out there that better describes Vader or the Emperor, and their relationship. It also highlights another resistance movement that in time, may link up to spark a broader rebellion. Reading through the lines, I believe one can clearly see the fingerprints of the Story Group in their very long term goal of crafting a new and worthy expanded universe. P.s. Your mention of the Force Unleashed in providing opposition worthy of the protagonist’s strength is another head scratcher. A main complaint with that game, and it’s successor (unless I am again in the minority) was that you were almost too weak. A lighstaber should be able to dispatch a stormtrooper in one swing, but in those games it was infuriating to have to slash multiple times at faceless enemies who somehow were the only stormtroopers to have lightsaber resistant armour. Sorry for the delay, but thanks for such a thoughtful response! I don’t want to speak for Alexander, but I can tell you that opinions on this book were actually pretty divided among the writers here, and he and I have a back-and-forth piece coming this week where we’ll get cover his reactions in more detail, as well as the areas where I (and you) disagreed with him. Oh, and great point about it seeding ideas for Post-RotJ; I hadn’t thought of that.